We're discovering the connections between cognitive psychology and media literacy! We are discussing the second half of "Thinking Fast and Slow" by Daniel Kahneman. If you didn't get around to reading it, don't worry. Summaries and cheat sheets about all of the concepts (heuristics) in the book. We will use the cheat sheets as a helpful reminder or intro to the concepts during our discussion as well. Short 7-minute video is a great overview explaining the ideas of System 1 and System 2 thinking. These two systems are easy to grasp and set up the idea of how we use heuristics. Longer 1-hour video is of Kahneman talking more at length about the concepts in the book. DIGIURI video discussion of chapters 1-22. 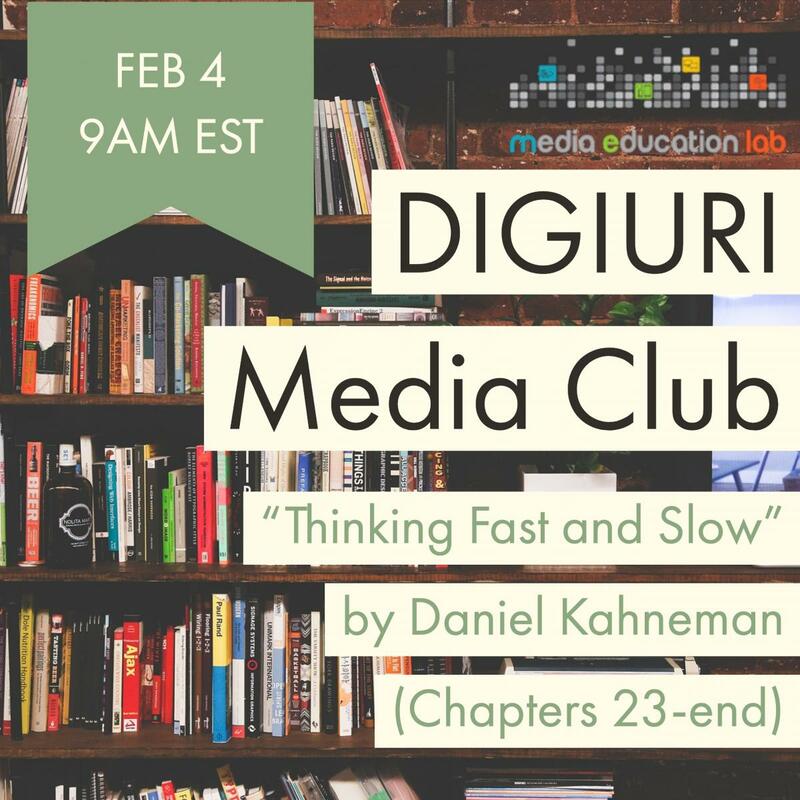 The DIGIURI Book and Media Club is developed by Samantha Stanley (University of Hong Kong) and Michael Stoepel (University of Paris).